Kohli, after India sealed the Test series win – their first since 2008 against England, though made it clear that this was not a revenge of any kind. 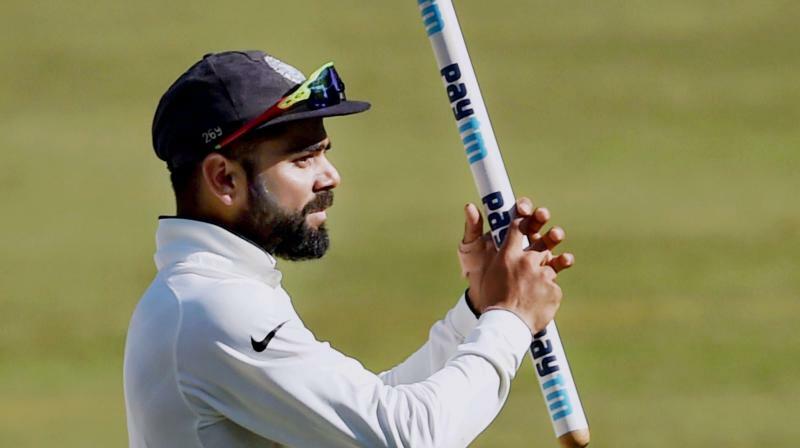 Mumbai: Virat Kohli on Monday admitted that the Test series win over England was India’s best showing in Tests since he took over from MS Dhoni as India’s skipper in the longer format of the game. “Out of the five (series) that we’ve won, this is the best by far because of the quality of the opposition, and the kind of cricket that we’ve played as well. We’re very proud of that, and for me as a captain, this is definitely on top,” said Kohli, under whom India have won five Test series in a row. “Even in this game after being 2-0 down, they put 400 runs in the first innings. This (England team) is not a team that will throw in the towel. They will fight, and we saw another example of it. We were tested but we came out on top. This is what Test cricket is all about. If you are a champion team, you have to play like a champion team to win series and that’s what we did,” Kohli continued. “I think the pitches have been far more true than the New Zealand series, that is something that I observed immediately. All wickets have been good cricket wickets and we have had to play good cricket to win these three Tests, and none of the matches have been surrendered by the opposition. We have had to work hard for it and the bowlers have had to work harder in this series, I feel, to get batsmen out and to control the flow of runs as well,” added Kohli. “Revenge? Not at all. That’s all for TRPs. All these little visuals that you see on TV before the series, a lot of the campaigns are pretty exciting for people to watch actually. They like those sort of things, people talking about the series and saying this one will thrash this one. These things are just to spice things up for viewers, which is great. It engages fans well, but as cricketers we should understand what to pay attention and what not to. We can’t expect these things not to be shown or displayed,” Kohli said. “As cricketers, honestly, it’s far from what we think about. We understand how the game goes, and how minute these moments can be in Test cricket of winning and losing games. If you focus on that (revenge), you’re already taking your mind off what you’re going to do. It’s our responsibility to focus on our job,” added Kohli.